Today was an interesting “business” day. I had seen an auction lot for sale just down the road from me, in a sought after Hertfordshire town. 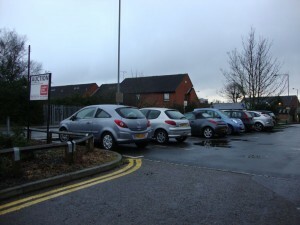 Unlike most of my viewings – this didn’t require an appointment, I could just turn up – as it was an open car park!! It wasn’t a very big car park – just 17 spaces. But it had a guide of 15k and I knew the area. As you can see it is in good condition, with a lovely tarmaced surface, spaces lined and ready to go! 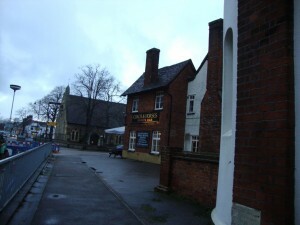 It was also within the town centre and easy walking distance for people who were working locally or for those commuting to London. However, I had noticed there was a church at the top of the car park and that for them to access their small parking area (only enough room for 2 car park spaces) they would need access over my car park. I was pretty sure there was going to be a right of way in place and I would have to work out how to manage that. And so I sat down and tried to figure out how I would run a car park! I worked out who my customers would be, how much I could charge, I did market research on current spaces, looked into leasing and licensing agreements, worked out different barrier systems, charging systems – all in the name of car park research! And so I figured out this could be an interesting little earner. OK I would need some set up costs, and some time to get this off the ground, but thereafter the car park could become a nice little passive income earner. I’d worked out that while the guide was just £15k I would be prepared to pay around £50k for the car park. And so I got the legal pack. Yes I had been right about the Methodist church and the right of way for access..however I had figured out how I could work this. But then I saw the legal wrangling that the council had going on…and then I learnt they were trying to purchase the site – what is known as a compulsory purchase order (CPO). A CPO is a legal function which allows certain bodies which need to obtain land or property to do so without the consent of the owner. While CPO’s usually include compensation rights including the value of the property, costs of acquiring and moving to a new property, and sometimes additional payments – it is a drawn out and risky area to get into. 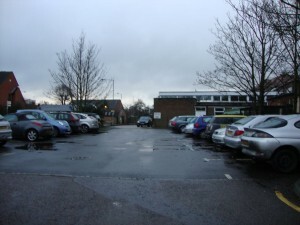 My plans for the little car park had not included being forced to sell it to the council and having to argue with solicitors over the next few years. This was meant to be passive income – wrangling with the council will be anything but that! What a shame about the CPO!! I remember once I was offered the opportunity to invest in parking spaces. The price tag for each space was over £10,000. So with that price tag, there must be a lot of money in parking spaces – Hell we know that anyway cos we pay for the sodding things every day!!! I have always wanted to own a car park, just think I really could make money when sleeping. Life certainly has a way of opening doors!! Could you please furnish me on how to get things started. I have found an ideal piece of land up north but have never done this before. I am researching more into the business and the area and the more I research the wider the smile on my face gets. I am very conscious that because this is uncharted territory for me, I may have overlooked some vital costs. Hi Austin, what was key for me – was working out was there a demand for the car park and could I make it stack as a business. In terms of car park management, you need to think about how you will collect revenue and penalise those for not paying. Good luck – keep us posted on how you get on!! I was thinking about going down the automatic barrier route. One or two Pay on foot machines would be placed in the parking area as well. What are your thoughts? I have just seen this company advertised on my Landlord Network forum – don’t know if they any good. Are you looking to generate revenue from your vacant land? Why not let Spring Parking setup a temporary cashless car park at NO COST to you. Do you have any idea what the car park fetched at auction and who the agent selling it was? I am looking at a site in Ludlow and need to try and establish it’s value. 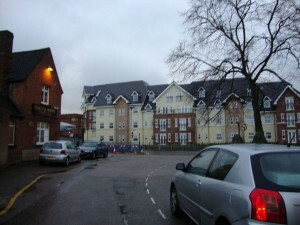 It sold for £40k for 17 spaces which I thought was very good value. It was a commercial auction house which sold it. Great thread you have going here, very helpful! Please can someone tell me how to FIND car parks/land for sale? Are there any good websites you’d recommend? I’m really struggling here! As buying a car park is a popular idea which people want to know more about (and buy) if you check back (maybe subscribe to my blog posts?) 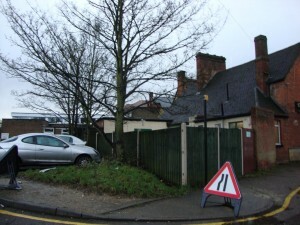 and I’ll do a round up of car parks which are being sold in the future – would that help? August is pretty quiet for property auctions so it will probably be more like September – but watch out for it and I’ll tell you about the car parks for sale at property auctions! 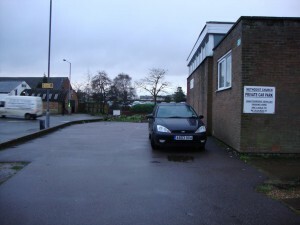 May I ask, out of interest – what is it which attracts you about buying a car park? Hi just read Iram comments on where to buy a car park I am also interested as they seem a good sound investment. I signed up to the auction houses you recommended . Mat – did you buy the Stevenage car park then? I hadn’t even realized that individuals could buy and charge for parking lots. It seems like an interesting way to earn some passive money. It’s unfortunate that it didn’t work out for you, since there were more legal problems than you had anticipated, but I’m glad that you stayed positive and saw the good in the experience. Like you said, at least you learned about different parking barrier systems, so you’ll be better prepared in the future. Thanks for sharing your experience!